The Kona does everything a small family car should. It just happens to have a more distinctive look than its rivals – a great way to stand out in this crowded segment. Everything Kia does, Hyundai does, more or less. 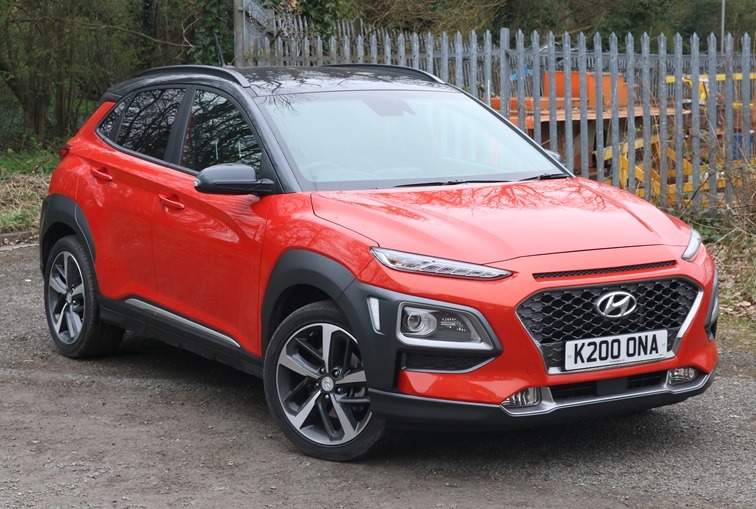 Both companies share the same parent though, so it makes sense to share things, which is why the Kia Stonic is followed very closely by the Hyundai Kona. Only Hyundai will tell you that the two cars, both small SUVs, don’t share the same platform. 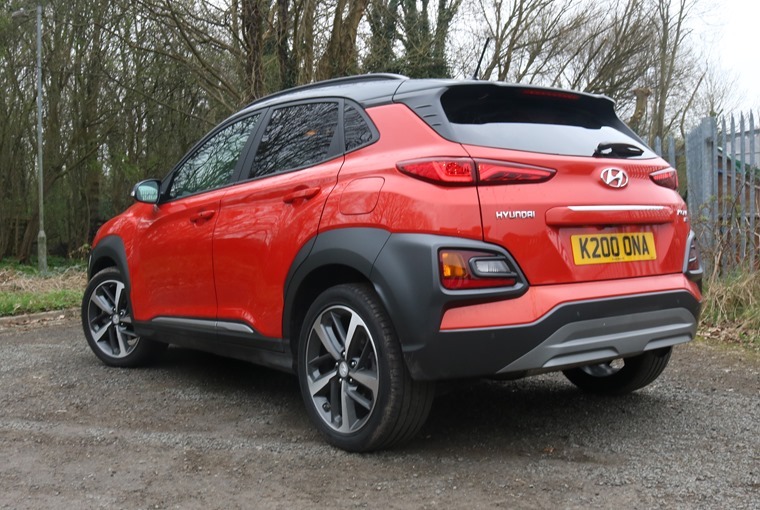 The Kona rides high on a new chassis that, curiously, the Stonic doesn’t get, with the end result being that the Hyundai model can be considered a proper SUV. Or, at least, it comes with an option of four-wheel drive. The Hyundai can be considered a proper SUV. Well, it comes with the option of four-wheel drive. 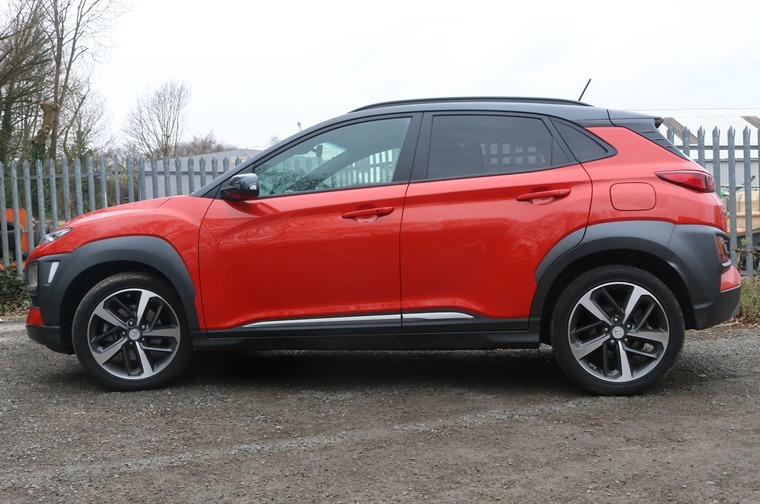 That’s enough for the Kona to stand out from its myriad of rivals, with the likes of the Citroen C3 Aircross, MG ZS, Peugeot 2008, Renault Captur and the Stonic all available in front-wheel drive only. As the snow cripples the country, that might be an important differentiator for many buyers. Standing out from the crowd is easy for the Kona, with the car having a truly distinctive design. Split headlights and tail lights are unique to the brand, but don’t appear to be trying too hard to be different. Hyundai hasn’t escaped from the cosmetic shorthand for SUV, fitting the sides of the car with seemingly required plastic side mouldings and wheel arch extensions. A rage of bold colours, with contrasting roof options, extends the individuality but, despite the drama created externally, it’s all rather sombre once you step inside. The interior is undoubtedly well built, but it doesn't feel particularly special. Typical of the brand, there are acres of black plastics and material around the cabin. It’s all undoubtedly built very well, as it should be when there’s a five-year warranty on offer, but it doesn’t feel particularly special. Contrast stitching and detailing brightens things up, but the body coloured seat belts are alarmingly sudden when the exterior of the car is, for example, lime green. 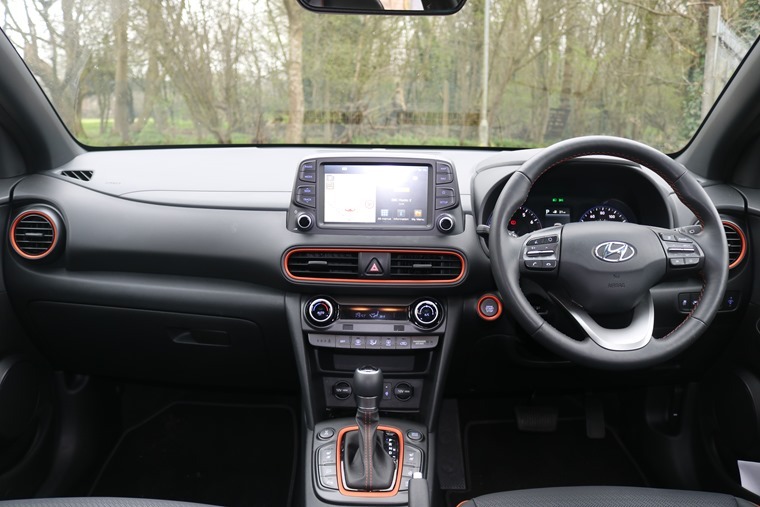 There’s loads of room in the Kona, with four adults able to find room for each other without any problems. If you’re particularly tall, the rear seats might get a tad tight, but children, with their child seats and paraphernalia, won’t be an issue at all. The rear seats also fold entirely flt, leaving a handy sized load bay. The boot under normal use is a little on the tight side, though. Equipment levels are high across the range. 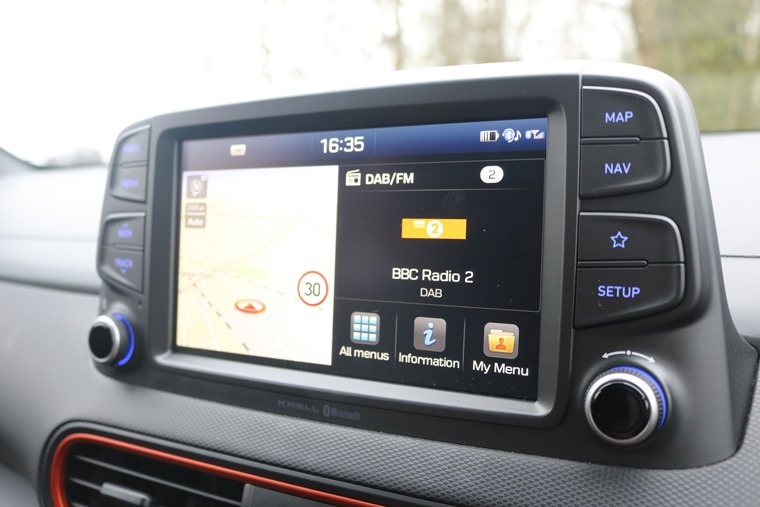 Equipment levels are high across the range, with even the entry-level S model getting a five-inch infotainment screen, Bluetooth connectivity and a DAB radio. Mid-spec cars see the screen increase in size to seven inches, adding Android Auto and Apple CarPlay, while this Premium SE model sports an eight-inch screen with built in navigation and a head-up display. That system also comes with seven years of free traffic and speed camera location updates, which is a handy addition. Speeding might be tricky with the funky little 1.0-litre petrol engine. It’s an excellent unit, with just enough power to cope with pulling a small SUV around. Unusually, there’s also enough low-down torque to make urban driving easy. There’s a diff-lock and hill descent control to help tackle rough stuff. 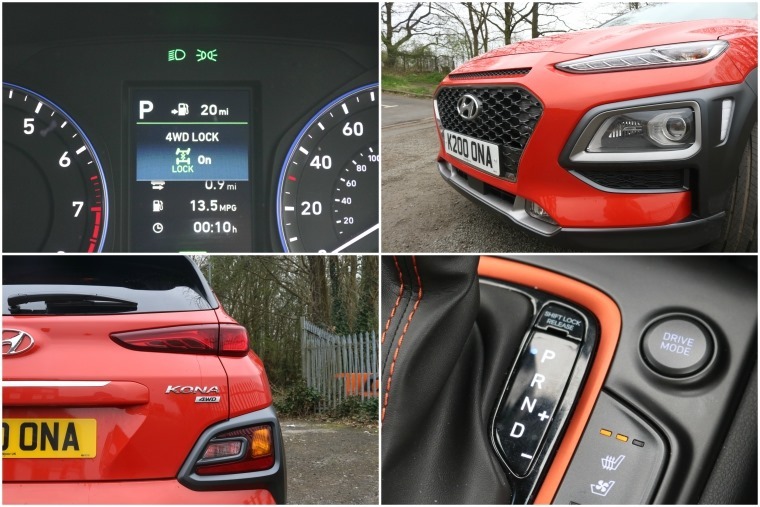 There’s no diesel option, so everyone gets to enjoy the refinement of either this 1.0-litre three-cylinder that it shares with the Stonic, or a 175bhp 1.6-litre turbo that it doesn’t. For those wanting to enjoy the frugality of a diesel, there are a couple of new engines on their way but they won’t be available until later in the year. Four-wheel drive is only available with the larger engine. It’s an on-demand system, so drives as a front-wheel drive model until grip levels deteriorate, at which point it connects the rear wheels for added traction. There’s a diff-lock and hill descent control to help tackle rough stuff, but the ride height is barely any higher than a standard hatchback, and 18-inch alloy wheels fitted with low profile tyres don’t exactly lend themselves to traversing the Gobi desert. Truth be told, the system adds weight without adding any advantage over what a good set of winter tyres could provide. It handles decently, with more grip than you might expect. Still, it handles decently, with more grip than you might expect and, pleasingly, a reasonable amount of feel through the steering wheel. Ride comfort is also more than acceptable, even on 18-inch wheels, with only unusually sharp bumps making their presence felt. Despite some complaints above, there’s very little not to like about the Kona. It’s ultimately not very exciting, with handling that’s safe and secure rather than engaging, but drivers are unlikely to be too interested in that. Instead, it does everything a decent family car needs to do, while offering a distinctive style and sensible running costs. It doesn’t necessarily lead the game in any one area, but it does well everywhere, ending up being greater than the sum of its parts. It does that while undercutting some of its rivals on price, while decent predicted depreciation will leave leasing costs competitive. That five-year warranty will also reassure, making the Kona a wise choice on even the longest of lease. It’s a slice of style that won’t break the bank.